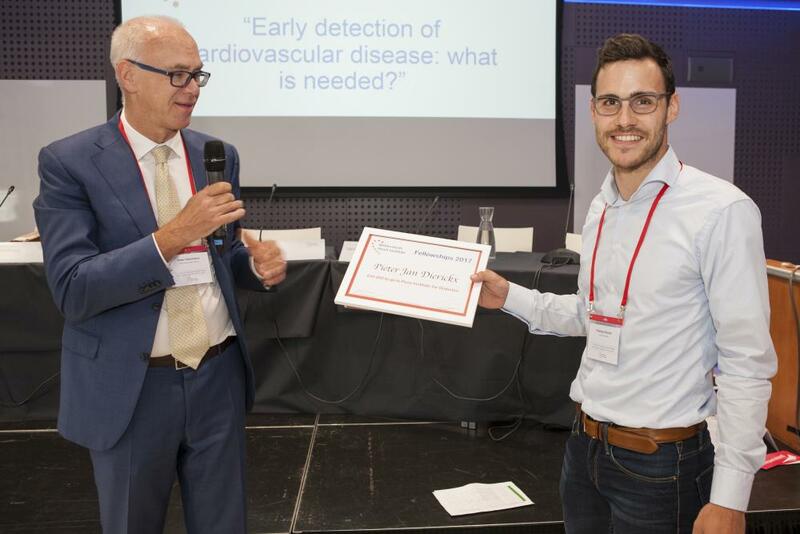 During the 1st Translational Research Meeting of the Netherlands Heart Institute the annual Fellowships were awarded to Pieter Jan Dierickx and Sandra van Wijk. Dr. Pieterjan Dierickx of the Hubrecht Institute presented a proposal to look into REV-ERBα in cardiometabolism and heart failure. He will spend one year in the Penn Institute for Diabetes, Obesity, and Metabolism, Philadelphia, United States of America with Prof. Dr. Mitchell Lazar. 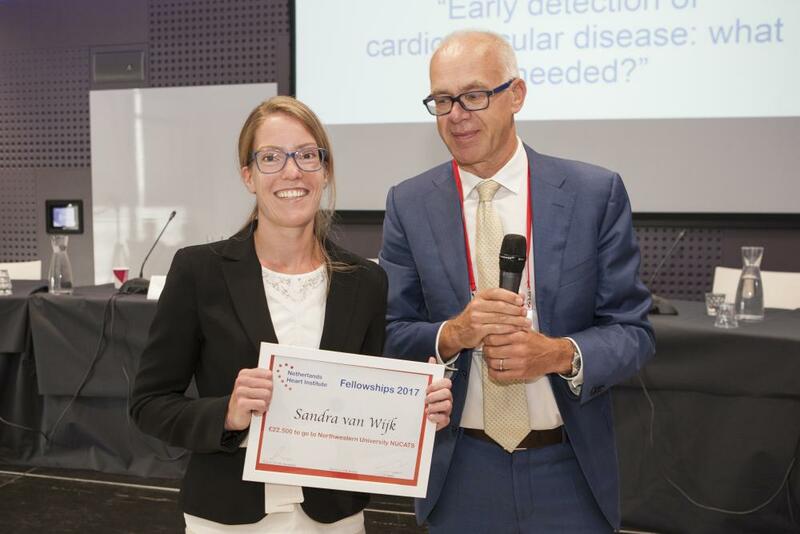 Sandra Sanders-van Wijk, MD, PhD presented a proposal on Biomarkers unravelling the ‘Venus’ of Heart Failure. She will go for 6 months to Division of Cardiology, Department of Medicine, Northwestern University Feinberg School of Medicine, Chicago, IL. Her host will be Prof. S.J. Shah, MD.